In the past few years, Assassin’s Creed has evolved into one of Ubisoft’s most popular franchises. But even though the series probably isn’t going anywhere anytime soon, its creators have plans for an ending. We have multiple development teams, then we have the brand team that sits on top and is filled with writers and designers concerned with the series’ overall arc, so there is an overall arc, and each iteration has its place inside this. He continues, claiming the studios have “an idea of where the end is,” but that this is all dependent on how much longer Assassin’s Creed remains a yearly title. 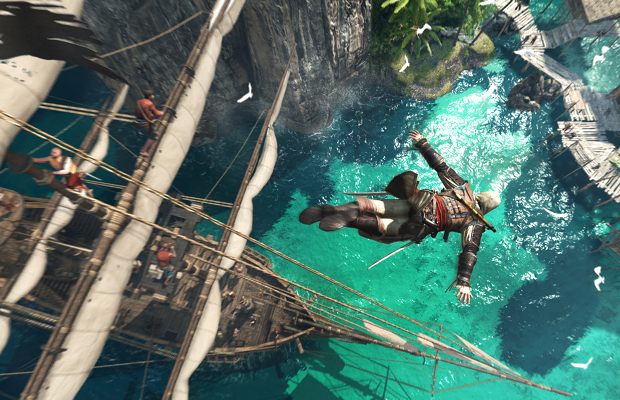 Assassin’s Creed IV: Black Flag is due out October 29th for the Xbox 360, PS3, and WiiU.